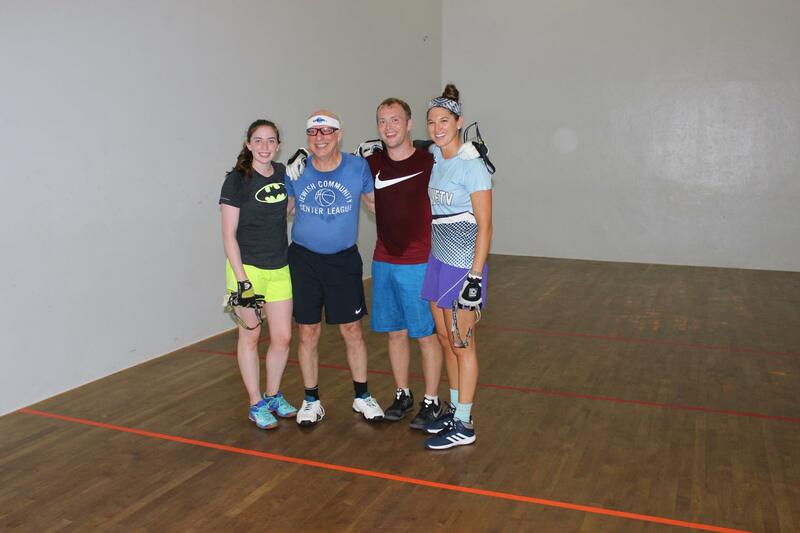 Tucson, AZ, WPH Press, 7/18/17- The game’s best indoor and outdoor handball stars have been in action in the last four weeks, with major 4-Wall, 3-Wall and 1-Wall events held across the U.S. Buzz Around the Globe with the WPH and catch up on all of the big events. Current 3WallBall small ball world champion traveled from his new home in Tucson, AZ to challenge several of the game’s best 3-Wall small ball specialists at Chicago’s 28th annual LaGrange 3-Wall Open. Ruiz entered the event as the #3 seed but advanced to the final with little difficulty, ousting Bill Mehilos in the quarterfinals and Marco Lemus in the semifinals. Former WPH R48 #1 Mando Ortiz met Ruiz in the final after upsetting multiple-time LaGrange singles champion and #1 seed Nik Nahorniak in two close games in the semifinals. Good friends and LaGrange doubles partners Ruiz and Ortiz battled on a beautiful 85-degree Sunday at LaGrange, with Ruiz taking a close first game and cruising in game two to take the singles title. Ruiz slammed with Ortiz later in the day to win the doubles. 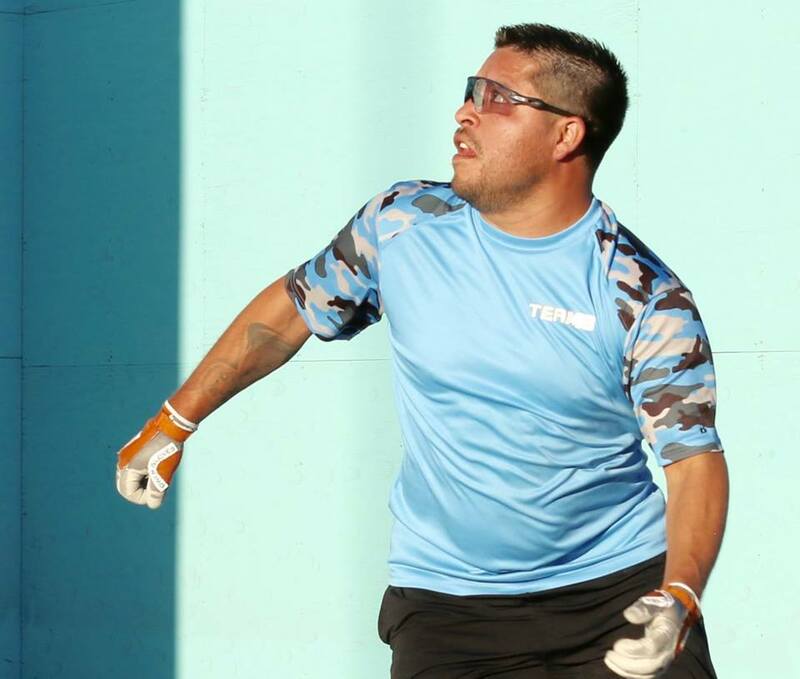 “Mando played tough in the first game but then seemed to tire out in game two,” stated the Southern California outdoor legend Ruiz. Race 4 Eight top 35 stars Memo Pallares and Adam Bernhard renewed the best rivalry in the Lone Star State in the finals of the 2017 Longhorn Classic. Bernhard had defeated Pallares handily in their two previous tournament encounters following a close loss nearly a year ago and Pallares was determined to stop Bernie’s streak at two. 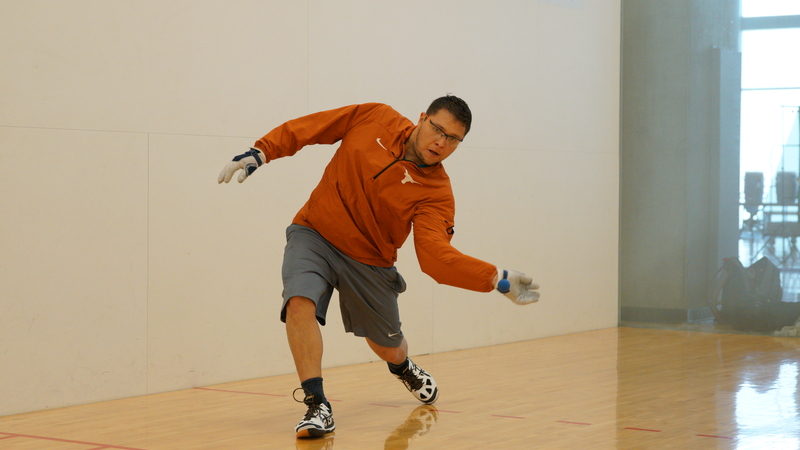 Bernhard won a close first game and stood two points from the Lone Star hat trick and the title in game two but could not close the match, as Pallares forced a tiebreaker. Very little separated the Texans in the tiebreaker, with the pair ultimately reaching 10-10. Pallares closed out the match with a kill, adding another chapter to the sensational rivalry between the Austinites. “I really wasn’t happy with how I was playing today but credit to Memo, he made the shots and gave nothing away,” lamented Bernhard. Jurell Bastidas played at a higher level that any of his counterparts on a beautiful summer day in Central Park, knocking out RFC 9 overall champion Billy O’Donnell, defending Speaker’s Cup champion Mike Schneider and brother and five-time USHA 1-Wall national champion Tyree Bastidas. “Jurell was the best player (there) all day and that consistency is important on a 12-13 hour day at the courts,” stated Schneider. “Jurell really elevated his level and that’s nice because it should motivate other top players to do the same.” Billy O’Donnell predicted Jurell would start winning big tournaments last weekend at the RFC. 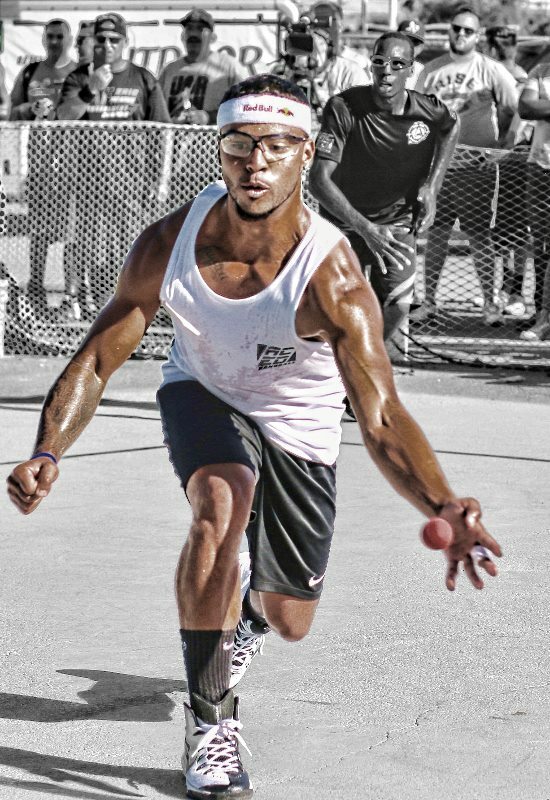 “He (Jurell) will win, he’s too fit and too good to not win big titles.” Jurell will enter the USHA One-Wall Small Ball Nationals on the short list of favorites on the first weekend in August. 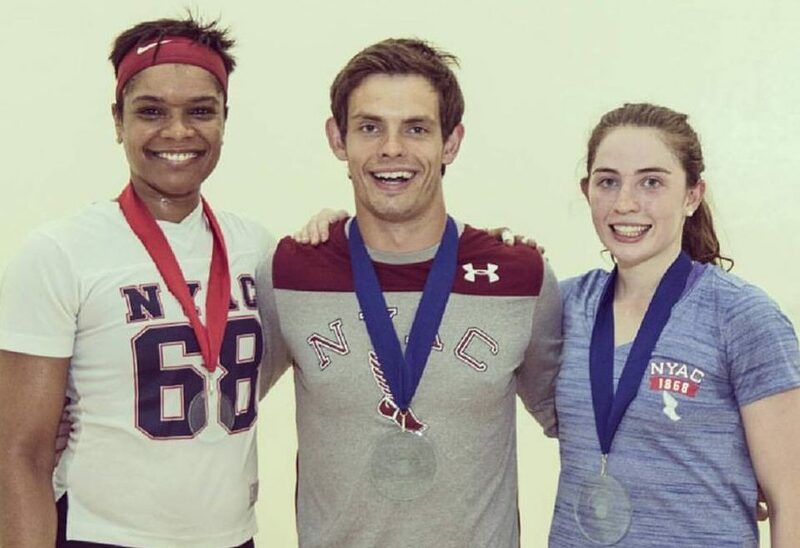 Killian Carroll and Catriona Casey repeated as 4-Wall pro singles champions at Los Caballeros, with neither star dropping a game en route to their respective titles. The early 20’s superstars from Co. Cork, Ireland, population 542, 196 (Wikipedia) now simultaneously hold the USHA national 4-Wall title and Race 4 Eight #1 ranking. Sean Lenning and Marcos Chavez repeated as national pro doubles champions in a sensational match against Mando Ortiz and Vic Perez. 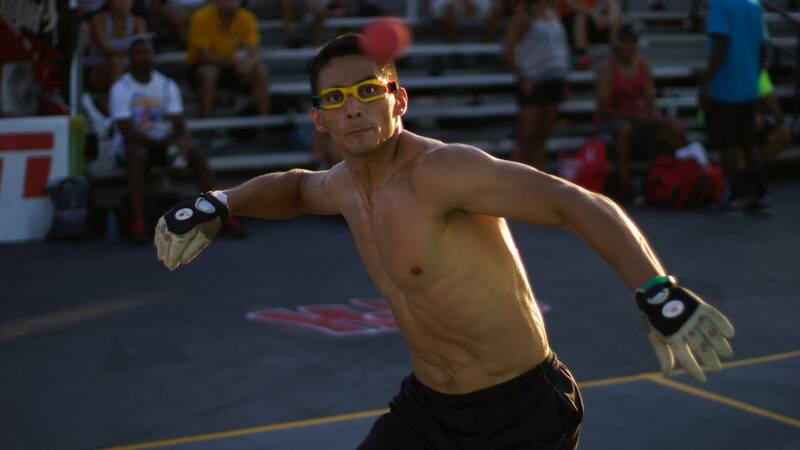 Timbo Gonzalez maintained his spot atop mountain in 1WallBall big ball singles, sweeping the two New York early summer Big Ball 1-Wall majors at the Citywide Championships and USHA WallBall Nationals.